After the launch of The Focus Course, I was perplexed. As I mentioned in my case study about the launch week itself, the course sold far beyond what I was expecting. And that left me asking how I could keep the momentum going. Originally my plan for life after launch was that I’d return to my previous publishing rhythm of publishing links and articles on shawnblanc.net. But when I saw how many people were loving the course and finding value from it, I knew there was more I could do. So I decided to double down on the Focus Course and build the next thing under the “Focus brand”. As I talk about in this article — the thing holding you back from doing work that matters is not your current lack of money, time, or resources. If you’re hungry for creative success, the good news is that there is a path to get there. Because creative success is simply having the opportunity to consistently do creative work you’re proud of. What’s holding you back is an unwillingness to show up every day. Showing up every day looks different for different people. But I like to see it as a combination of two “systems” if you will. First of all is having a bias toward action and the commitment to create something every single day. Secondly is having a commitment to focus on the most important work. If you’re showing up but check email and Facebook instead, well, that doesn’t count. Spend your creative time doing something only you can do. Moving the needle forward in your projects. Push the limits of your creative ability. Provide value, surprise, and delight to others. 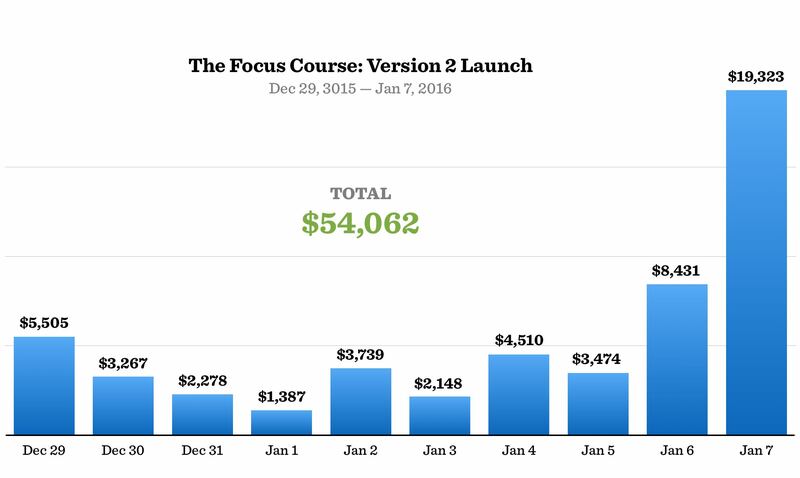 Which is why, in today’s article (which is Part 2 of my Focus Course case study series), I want to share with you how I’ve spent the past year since The Focus Course launch. If I’m so adamant about showing up every day and building momentum, how then have I been spending my time and energy for the past year? I’ll tell you how I got to work building The Focus Course into a brand of its own, rather than leaving it alone as a single product. I’ll tell you what I did to generate an additional $215,000+ of revenue after the launch week was over. I’ll tell you what has worked well, what I would have done differently, and what I’ve learned from the past year that is informing my plans for the rest of 2016 and 2017. Hopefully my first article helped inspire you to build and launch a product of your own. And hopefully today’s article will give you ideas for things you can do in order to iterate on your current products or services, build your brand, and scale your business. Speaking of which, I have a new course coming out later this year that goes. In the lead-up to the new course, I’ll be doing some live online training events centered around creating and entrepreneurship. And I’m also looking for pilot members who want to help walk through the content. If that’s something you’re interested, sign-up over here and I’ll send you more info. If momentum is everything, having a focus for that creative energy can be a huge boon. Which is why I’ve put together a free worksheet for you. It can help you with finding your creative focus (which, as I’ll explain in the email, is actually quite important for anyone and everyone looking to build an audience and launch a product). If you made an unexpected 6 figures in 7 days, what’s the first thing you would do? It took all the self-control I could muster to keep from going out and spending that money on a new car or a trip to Hawaii. Money aside, after the course launch, I was exhausted. The months leading up to the launch of The Focus Course were very busy. If you’ve ever built and launched a product, you know just how crazy those final weeks can be. And so, after the course launch, I gave myself a bit of a break during the following two months. While I didn’t want to step away from the work entirely (as a creative entrepreneur, remember that the best thing you have going for you is momentum), my mind and body still needed a break from the intensity. Plus, to be frank, I needed time away from the Focus Course. I’d been researching it, writing about it, talking about it, editing it, and launching it for almost one full year. For July and August I changed up my schedule to a 4-day work week. I would work Monday – Thursday, then take a 3-day weekend. For one, I missed having time to write and create on Fridays. Secondly, on Mondays, I found it difficult to get back into a creative rhythm. I felt as if my “writing muscle” had atrophied over the long 3-day weekend. Instead of taking a long weekend every weekend, I thrive better with extended time off. My friend, Sean McCabe, has long been making a case for what he calls “small-scale sabbaticals“. It’s something he and his entire team do: Every 7th week, they take the whole week off. 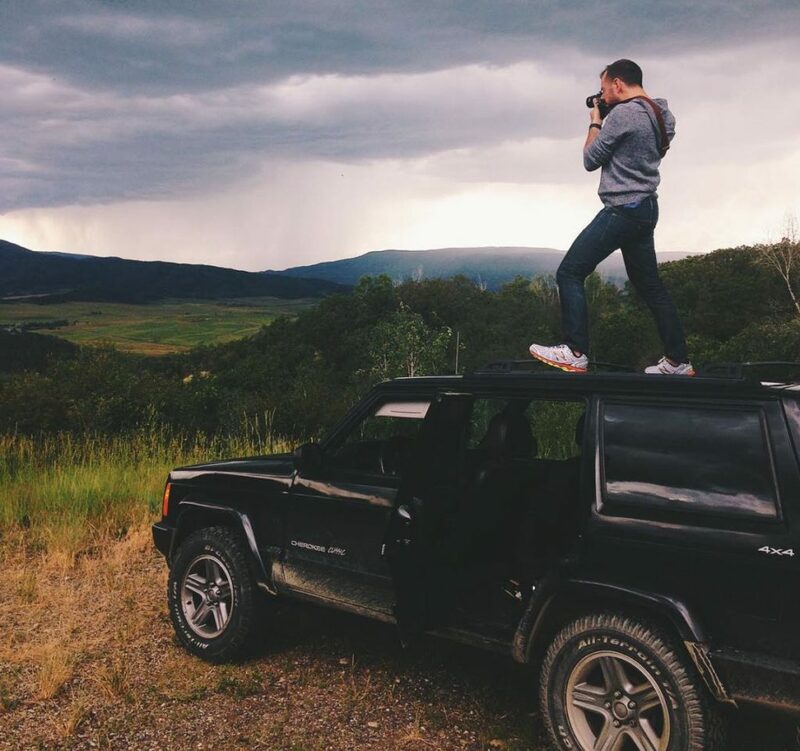 Living dangerously and taking photos just outside of Steamboat Springs. Toward the end of my vacation in Colorado, I wrote down some things in my Day One journal that were thoughts about current projects and ideas of what I wanted to work on in the future. What’s hot right now? What is the future of online business that is value-based and helpful? It’s Content Marketing, Content Strategy, Long-form Content (written and podcasts), interesting information, transparency, helping others. A course about “doing your best creative work” that would teach on showing up every day, overcoming fear, creative consistency, audience building, should vs must, finding flow, trusted peers, mentorship and accountability, providing value, inspiration and perspiration (i.e. the ebb and flow of ‘work’), etc. Little did I know that these seeds of ideas would define where all of my time would be going over the next year. My thoughts about the future of online business have defined the massive change in infrastructure over the past year. My course about “doing your best creative work” is in the works as I type this. My point here is that the time we take off from work are just as important as the time we put into doing the work. The former gives clarity and energy to the latter. Before I launched The Focus Course, my whole content strategy and content marketing paradigm was centered around the “now”. It was the approach I used for building shawnblanc.net. However, the success of the Focus Course got me thinking about entirely new business models. And it opened up my eyes to a strategy around content marketing that I was previously unaware. Honesty and consistency is the most important. If you’re in it for the long-game, then it’s worth it to sweat the details. Foster dialog, community, and a sense of ownership with your audience (I want owners, not renters). I’ve been using those principles to help shape all the choices we’ve been making over the past year. Honestly, it takes a lot of work to change from one business model and content strategy to another. I’ve gone from a focus on recency with most of my income being ads and sponsorships, to a focus on relevancy with most of my income coming from product sales. And, I have to say, I prefer the latter. Though it has challenges of its’s own, for the most part it feels more pure (I’m supported directly from awesome readers like you), it doesn’t feel like a race to the bottom, and it allows for more margin in my schedule and creative energy. 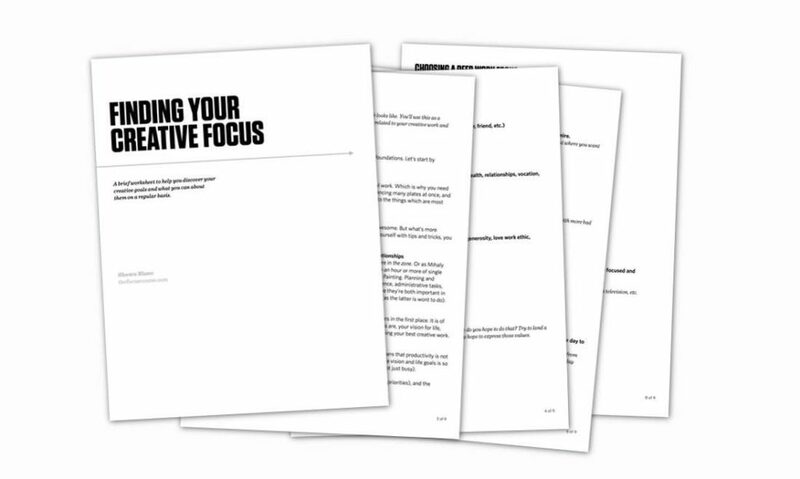 Since the launch of The Focus Course, I’ve worked with two good friends of mine: Mike Vardy and Brett Kelly to create some cool new products that compliment The Focus Course. I’ll dive into more detail about my approach to a JV product launch like this in an upcoming article. Right here I want to give an overview. The first new product after The Focus Course was The Awareness Building Class. This was a joint venture with my friend, Mike Vardy. We collaborated to create a new class that would be relevant to both of our audiences, and then we gave it away to Focus Course members in the fall of 2015. This proved to be a fantastic experience from every angle. It created value for past and present Focus Course members. It was a way for me to introduce my readers to Mike and his awesome productivity-centric work. And it helped expand the audience of people who were interested in the Focus Course. 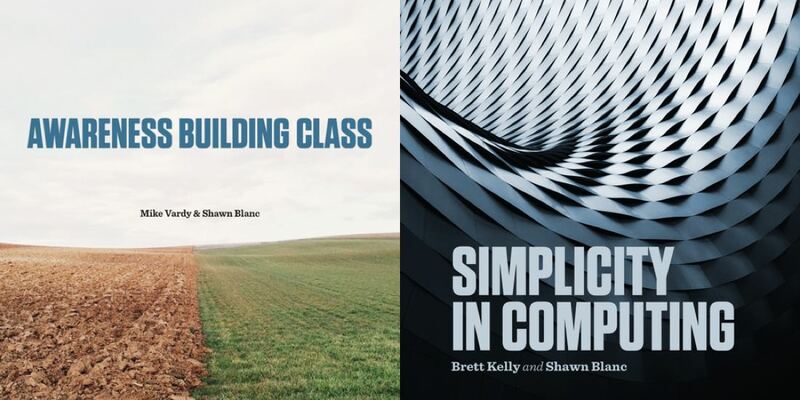 In the same vein as the Awareness Building Class, Simplicity in Computing is something I worked on in partnership with my pal, Brett Kelly (of Evernote Essentials fame). Brett and I collaborated to create this 5-part audio class that has over 3 hours of audio, plus transcripts and other bonuses. The focus of the class was, as the name suggests, how to keep things simple as it relates to technology. 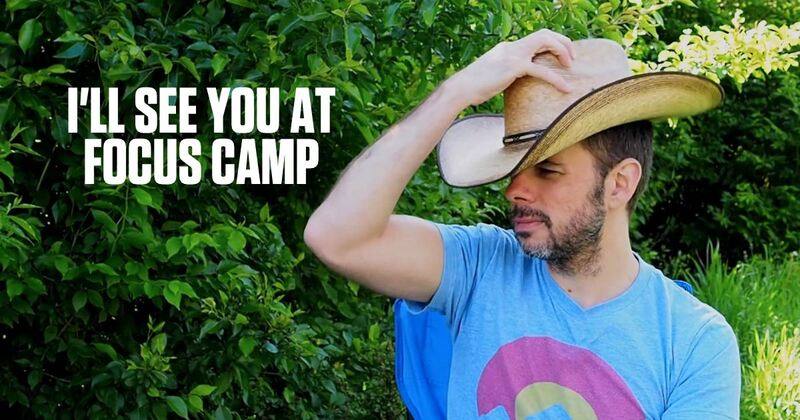 We gave the class away for a few days in June as a free bonus to everyone who was already a member of the Focus Course as well as to anyone who signed up for Focus Camp. The next big milestone was my move from using MailChimp to ConvertKit for email. I had multiple lists with lots of overlap in subscribers. This meant people who were on more than one list (i.e. my best subscribers) would oftentimes get non-relevant emails because I was pitching a product to list A but had no way to exclude those who had already purchased it because they were on List B. Also, with MailChimps list-centric approach, I was paying 2 and 3 times over for many of my subscribers. I wanted to consolidate it all, but I didn’t know how to merge them into one list without losing the subscriber data in each list. To consolidate all of my lists so that I had a clear picture of my entire subscriber base. To be able to tag my subscribers based on what they were interested in, what products they had purchased, etc. To have more than one autoresponder series set up, so that as people bought different products they received the relevant welcome emails, etc. I’d heard many people sing the praises of Infusionsoft, but I had heard just as many people talk about how confusing it is (“Confusionsoft”). I honestly wasn’t even sure how Infusionsoft was different from MailChimp. Fortunately, Nathan Barry reached out to me and showed me how Convert Kit worked. And it was a light-bulb moment. Once it “clicked” for me, I saw the massive advantage of a subscriber-centric email list rather than a list-centric one. I migrated everything over to ConvertKit in an afternoon and was off to the races. Between my own weekly newsletter, The Focus Course, The Sweet Setup, and Tools & Toys — it was too much happening for one big list that was segmented only by tags. The fact that you can access the entire Active Campaign API through Zapier. Their incredible customer support and pedal-to-the-metal development. It seems like helpful new features are being added every day. It was obvious that January would be an ideal time for people to begin The Focus Course or to starting it over. It would be six months since the course first came out, and it seemed like the right time to garner fresh interest in the course and to ship a big update. 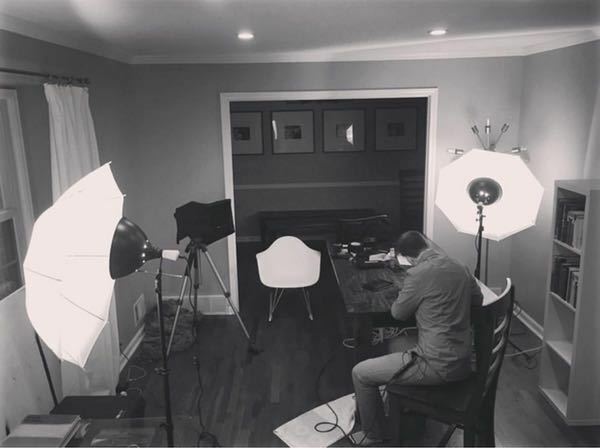 By far and away, the biggest feature request I received from Focus Course members was to create more videos. When the Focus Course first shipped, there were videos for each individual Module’s introduction, and that was it. So I went back to the studio and recorded about a million videos in the span of 5 days. The videos were the primary update we shipped to The Focus Course. But while I was there, I also recorded a bunch of videos for a new free class. This free class would be a way to give people a taste of what was in the Focus Course as well as a way to provide free value to those who couldn’t afford The Focus Course. Moreover, the free class would help lead up to the re-launch of The Focus Course 2.0 for the new year. I announced the free class on November 17th. It began on December 13th. And the re-launch of The Focus Course opened up on December 29th. We had 2,000+ new people sign up for The Elements of Focus class. There was a lot of excitement right off the bat. For one: I was very naive about the timing of when I launched the class. I began the class on December 13th — just a week before Christmas — and then launched The Focus Course 2.0 on December 29th — right in the middle of the most “vacationed” week of the year. D’oh! I’m not sure why I thought it would be a good idea to launch the big course update right then, but that’s what I did. It wasn’t a total flop. But I know it could have been better. As you can see in the chart below, the launch of version 2 still brought in over $54,000. But if I had timed things differently, I am pretty sure it could have done twice that. First of all, if I were to do it again, I would have started The Elements of Focus class in the middle of November. Secondly, I would have done about 5 videos instead of 16. While the 16 videos were epic, it was also too much. Especially since one of the primary goals was to lead people into The Focus Course itself. Lastly, I would have opened up registration for Focus Course 2.0 the week before Thanksgiving, and let it run through the whole month of December. The Elements of Focus is available right here and people sign up for it every single day. It’s also what’s called an “Evergreen Launch Series”. For people who express interest in the Focus Course, they can be led along the same path as the original newsletter list and they can get some great value right up front. It’s pretty epic. I’ve thought about starting to charge for it, but I like that right now we’re able to offer it for free. After things settled down with The Focus Course relaunch, we sent out a survey to all our customers. I followed along with the formula laid out in Ryan Levesque’s book, Ask. The survey went out on January 21, 2016. We used Survey Monkey at had each survey question be it’s own page. That way, if someone abandoned the survey half-way through, we didn’t lose all their answers. And so, you have to ask the questions in order of importance. And the first thing we asked people was about what their biggest challenges and frustrations were related to doing their best creative work. We went on to ask about what they do and don’t like about the Focus Course, what challenges they were facing still after completing the course, and more. Through that survey we found out some invaluable information that has informed all the work we’ve done so far this year. We discovered that that the two biggest challenges Focus Course face is (1) better time management and (2) gaining traction on their creative work. We discovered that what people are most interested in includes: additional training resources beyond the course itself, clear-cut paths to go deeper on specific topics, and a sense community. All of 2016 is being spent to solve those challenges of time management, gaining traction in creative work, providing additional training, giving clear learning paths, and a sense of community. The first thing we did was create the Time Management Class (which I’ll share about in just a minute). Next is a new course coming out later this year, and thirdly is a new monthly membership that we are launching this month. After reading through all the feedback from the survey, it was clear that we needed to offer this class. A Focus on Time is our first going-deeper training class that branches directly off of The Focus Course. It has 30 audio lessons, transcripts, notes, and worksheets. First we built a landing page that hit on some of the specific time management challenges we learned from the aforementioned survey. The landing page also included an email sign-up form for anyone who wanted to be notified about the new class once it was ready. We emailed the whole list (10,862 people) letting them know about the upcoming class and telling them they could sign up if they were interested in being notified about when it came out. As people began signing up to be notified about the Time Management course, we (naturally) asked them what their biggest challenge was related to time management. Using all the email replies (we received hundreds of them) we were able to determine the main themes as well as the most common specific challenges. We then went to work addressing those specific issues — we literally built the class in direct response to our audience. Then I put together a 7-part pre-launch email sequence that we sent out only to those who had said they were interested in the Time Management class. That 7-part email series went to a list of less than 500 people, and they had an average open rate of 70%. We launched the Time Management Class on on Tuesday, March 8. It’s a $99 class, but we offered it at an introductory price of $79 for the first week. When the launch was over, the class had generated 239 sales and earned $18,822. From a list of 700 people. The big takeaway here is how powerful it is to have a segmented, relevant email list. By asking people to opt-in to something and then only promoting the relevant product to that specific group, it honors the whole list. People who are interested in a topic get to hear more about it, and people who aren’t are left off the emails. Win-win-win. Every week my production assistant, Isaac Smith, and I go out for a business lunch to discuss the current state of projects, etc. A few months ago, we were talking about how the Focus Course is nearly one year old already. I told him how I wanted to personally go-through the course again, and we had this idea that why not invite anyone and everyone to go through it at the same time? And like that, Focus Camp was born. As I write this we are now wrapping up the final week of Camp (we began the first week of June). We had over 500 people RSVP to join camp. About 125 were brand new to The Focus Course, and about 375 were Focus Course Alumni. Over the past 6 weeks we’ve all been working our way through the course together. There has been a ton of activity in the community forums, and every Thursday we’ve been doing live training events (a.k.a. “webinars”). For one, it’s been a fantastic way to provide ongoing value to current Focus Course members. A Focus Course membership comes with lifetime access to the course materials. That’s not just a marketing gimmick, it’s by design because I designed the Focus Course to be something you go through once per year. By having these “events”, it helps in several ways. It’s a rally point for folks who want to re-visit the course. It’s a chance to start over for those who stalled out. It’s a way to prove to folks that I care about their success. I’m not just selling a product — I’ve seen first hand just how awesome The Focus Course is and my job doesn’t stop once someone signs up. I want folks to actually go through the course — that is how I define success. And so, by doing these semi-annual Camp events, it helps people actually work their way through the content with a community. If you have some sort of digital product, course, or training program, what are ways you can provide ongoing value to your past customers that would help them get the most from your product? It wouldn’t have to be a full-on event. It could be as simple as a series of welcome emails that you send out to someone after they purchase, or quarterly group coaching calls, etc. Prove to your past customers and clients that you genuinely care about their long-term success. The benefits to your business are that you’re able to build deeper trust and establish customers for life. Focus Camp was a great way for me to begin doing live webinars with Q&A. They live events have been awesome. For one, I have thoroughly enjoyed doing them. It’s has been so much fun doing the training and coaching every week, and it’s been very rewarding to have that real-time dialog with the Focus Course members. And the feedback from those attending the webinars has been great as well. > “Round two of Focus Course is even better than the first because I already have a ground work so I feel I’m able to go deeper. Love it! > And the forums are awesome! So nice to be able to glean ideas from others and feel like you can process with people. See how they interpreted the assignment etc. I honestly doubted I would use the forum and have been SO pleasantly surprised this go around. I’ve spoken with a handful of larger companies who’ve expressed interest in doing group licensing of the Focus Course. Now that we’ve led 500 people through the course at the same time, doing weekly coaching calls and live Q&A sessions, we have a framework and outline to do this again in the future. Focus Camp was also a great way to invite folks to sign up for the course. I didn’t have to create any new content or “re-launch” the course or change the price. We simply kicked off an event with a start date. In just a few weeks I’m launching our next big thing: Focus Club. Now that I’ve shared everything we’ve done over the past year, I wanted to share about what’s next. This is the next big thing we are launching. It includes a resource library, live group coaching calls every month, and a members-only community chat. If you’re interested, head over here to learn more and jump on to the priority invite list. I’ve got two more behind-the-scenes articles coming up soon. Next I’ll be sharing about my approach to JV launches, and how they can be done with tact and offer a win-win-win scenario for everyone involved. Lastly I’ll be sharing about why and how I invested $50,000 in membership platforms, what our priorities are for this website going forward, and the advantages of building your own platform. Want to build and launch your own work? Lastly, I’m working on a new course right now that’s all about showing up every day, doing your best creative work, building an audience, and earning an income. If you’d like to know more about this next course, you can get on the list right now. And to help you kickstart things right away, I’ll send you a free workbook to help with the first and forever step which is finding your creative focus and then making regular, consistent progress.